The Reuse and Repair Hub project will be led by Fyne Futures who will operate the Re-use and Repair Hub on Bute with Spokes based with Rejig in Islay, Lori in Oban and Kintyre Recycling in Campbelltown. A Co-owned Webstore Model will be developed to expand and raise the profile of materials available and increase customer access. The proposed project plan will provide a collaborative approach to operating a Re-use and Repair Hub from a rural and remote perspective. This takes in to account the specific challenges of operating from a locality which includes very remote and island areas, spread out over a large geography. Whilst there are some reuse activities in each of the 4 locations, the project will expand the range of materials recovered and reused across the whole area and will significantly improve local reuse and access to Large and Small WEEE for the whole area. Fyne Futures has identified an opportunity to recycle WEEE and Reuse items in need of refurbishment that is currently disposed. 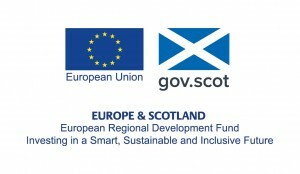 Through collaboration with reuse organisations in Oban, Islay and Kintyre, identified that partnership would enable each of the organisations to extend their reuse activities.